A mid to light grey fake fur throw. Plain, medium length fur. Versatile and luxurious. Will fit into most colour schemes, bedroom, lounge, pet or picnic blanket. Mid-beige, with additional stripes of off-white and taupe spots, this medium length fur throw oozes style and luxury. A warm, dense, soft fur. A rich deep brown fur throw. Medium length, plain fur. Suitable for sofa and chair throws equally as much as bed throws or bedspreads. 9 standard sizes available and bespoke service. Shiney black, medium length plain fur throw in a range of 9 standard sizes and choice of 3 backings. An economically priced collection of faux fur throws. Our Black Wolf fur throw comprises black and grey fur in a striped design. Very competitively priced and ideal for many situations. A medium length faux fur. An easily maintained faux wolf fur throw or wolf fur blanket. A cream fur throw of medium length. Easy aftercare, suitable for many interiors where a light plain fur is needed. Economically priced. Perfectly suited as a cream sofa throw or cream bed throw. A fur throw with strong Magenta colouring; that's our New Milano Magenta. Soft, medium length, dense, fur create these luxury faux fur throws. Ideally suited for bed throws or sofa throws. Add a splash of colour! Looking for cheap fur throws? 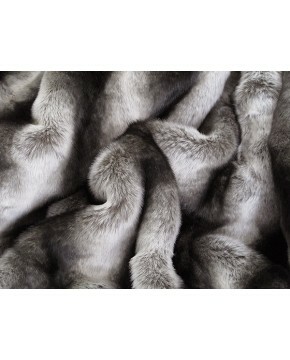 This Italian Wolf design is low priced and yet a luxurious looking faux fur throw. A combination of white, brown and tan fur makes this an unusual and eyecatching striped design. A medium length fur. A beautiful, striped, medium length fake fur throw. Dense in its construction, modern in design. Economically priced and available in our usual 9 standard sizes or our bespoke service for special sizes.